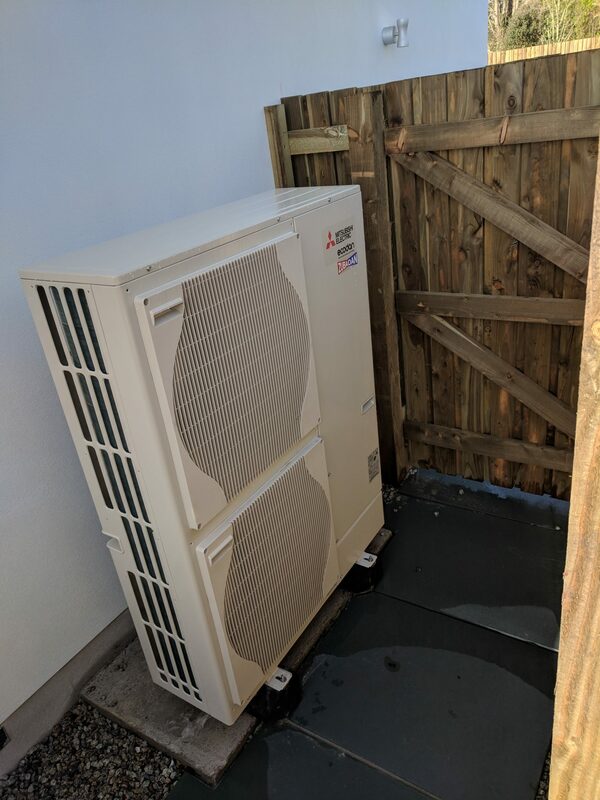 This 14kW air source heat pump, a Mitsubishi Ecodan, provides all of customer’s space heating and hot water requirement in a cost-effective, environmentally friendly manner. As such, the customer’s energy bills will now be reduced, along with their carbon footprint. Firstly, The customer’s air source heat pump will provide all the home’s space heating and hot water for £1,100. 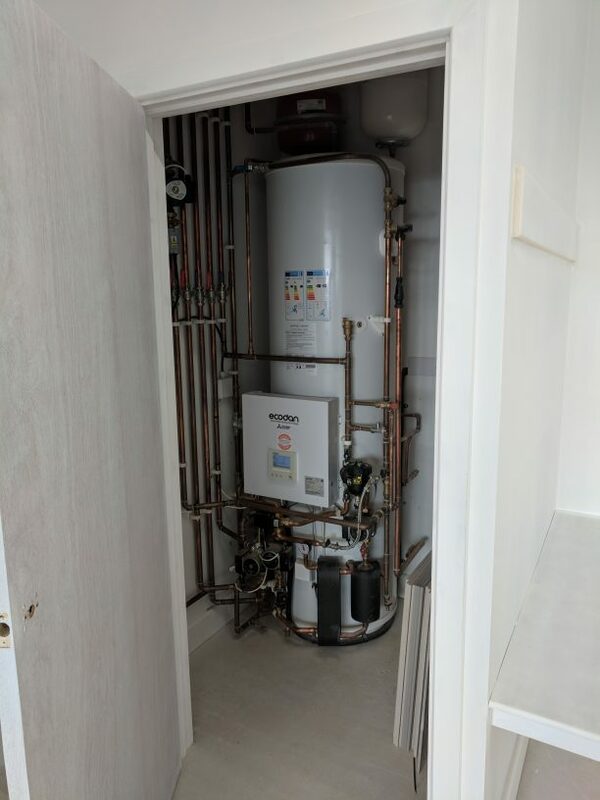 This air source heat pump system is estimated to cut the customer’s annual heating bills by £900, compared to the existing oil bills. 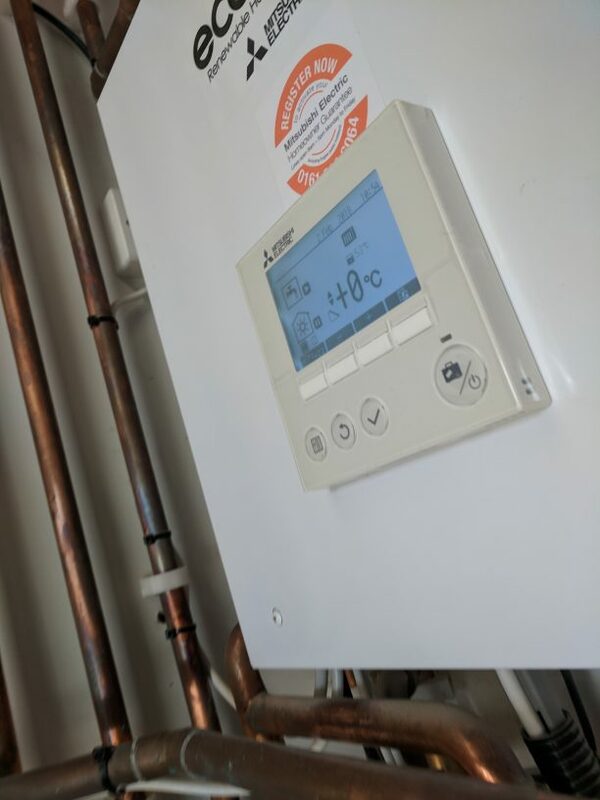 Secondly, as the customer opted for renewable heating over fossil fuel heating, they are eligible to receive retrospective subsidy through the government’s RHI scheme. Furthermore, due to the size of the property and it’s heat requirement (29,400kWh per annum), this home is eligible for maximum subsidy from the Renewable Heat Incentive. The homeowner will received annual payments of £1,450 for the next seven years. Further information on the RHI can be on GreenGen’s RHI page or via Ofgem’s RHI website. Finally, by replacing demand from fuels such as oil or gas, this heat pump installation will see the home’s carbon footprint significantly reduced. This air source installation will reduced the home’s by 7.3 tonnes per year. Each of GreenGen’s air source installations begins with a site survey. This allows us to gather all the information we need to accurately calculate your heat demand and generate a proposal. Contact us today to book your free survey and get the ball rolling.